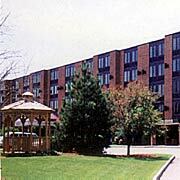 Once again, Intercon returns to the Radisson Hotel and Suites in Chelmsford, Massachusetts! The Radisson is conveniently located just off exit 34 (Route 110) on Interstate 495 in Chelmsford. Follow the signs on the highway ramp to the hotel. A map is available here. Call the Radisson toll free number 1-(800) 333-3333 or their local number (978) 256-0800. The room block code is "Intercon". Please give this code when you call the Radisson. This rate covers 2 people per room. There will be an additional charge of $12 for each additional person to cover the breakfast vouchers. Note: It is very important that you make the reservation as part of the Intercon group! The convention runs from Friday, March 1 to Sunday, March 3, 2013. Guaranteed reservations are available for arrival until 7 AM of the day following first night reserved. Notice of cancellation must be made at least 24 hours prior to the date of expected arrival. If there are any problems or questions, please feel free to send email to our Hotel Liaison. Reserving a room also entitles you to four free breakfast vouchers. These vouchers are good at the hotel restaurant on Saturday and Sunday morning. If you are interested in purchasing additional breakfast vouchers, ask the desk clerk when you check in. The hotel allows up to four people to occupy a room. Please do not exceed this. The quoted room rates cover two people. There will be an additional charge of $10/person for each addition person. Non-smoking and handicap-accessible rooms are available on request. Should you arrive on Friday before checkin, or for the remainder of the con after Sunday checkout, Intercon and Hotel Staff can provide a secure area for your belongings. If there are any problems or questions before the con, please contact our Hotel Liaison. The Hotel Liaison will also be available at the con to solve any problems. Please let the Ops Desk know of any issues; they will know where the Hotel Liaison is at any given time. We are very good at expediting solutions with the hotel, so it's best if you come find us to help out first. Why it's important for you to reserve your room well in advance! Intercon reserves all the function space in the hotel. That costs us a significant amount of money - several thousand dollars. Our space costs eat up, by far, the majority of our con budget. The final space cost is determined by how many hotel rooms are reserved by people coming to the con, using the group reservation process. The more hotel rooms the con books, the more we get a break on the function space cost. The break can be as much as a thousand dollars. We try to make our registration fees cover just what we need to pay for the function space, to pay for the con suite, and to cover the other costs that go into the convention. We try to break even. It's a tough balance; we have to guess a year in advance if we can meet our budget if we still let you sign up for as little as $25. You can help us to keep your own registration costs down by reserving your room early, through the Radisson reservation process. Intercon rents all the conference space available in the hotel. We encourage you to review the conference space layout.